We were asked by the home owner for suggestions on creating a low maintenance garden. The existing garden had a large grassed area that was proving difficult to maintain. After discussing various options we designed a large patio area in front of the patio doors. The patio gives the family more living space and provides a clean, flat area for the children to play. 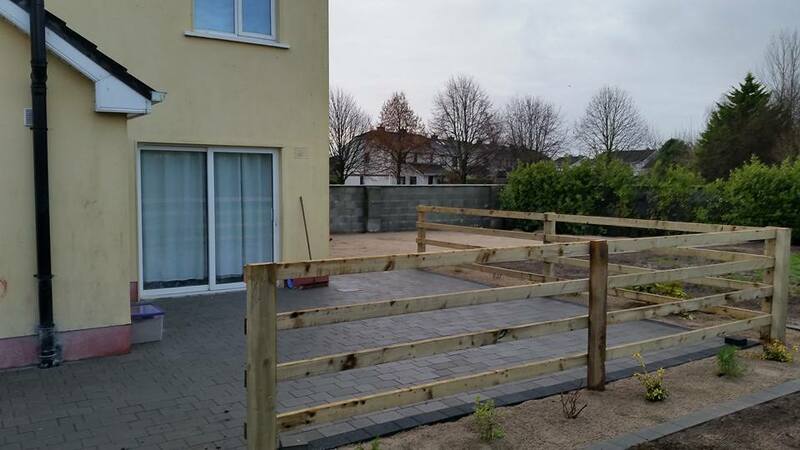 An attractive post and rail fence not only delineates grass from patio, it also keeps the children safe.